Giacometti had a revelation as he was leaving a cinema in Montparnasse in December 1945. As the screen between him and the world fell away, he felt that raw sensations could again be experienced. 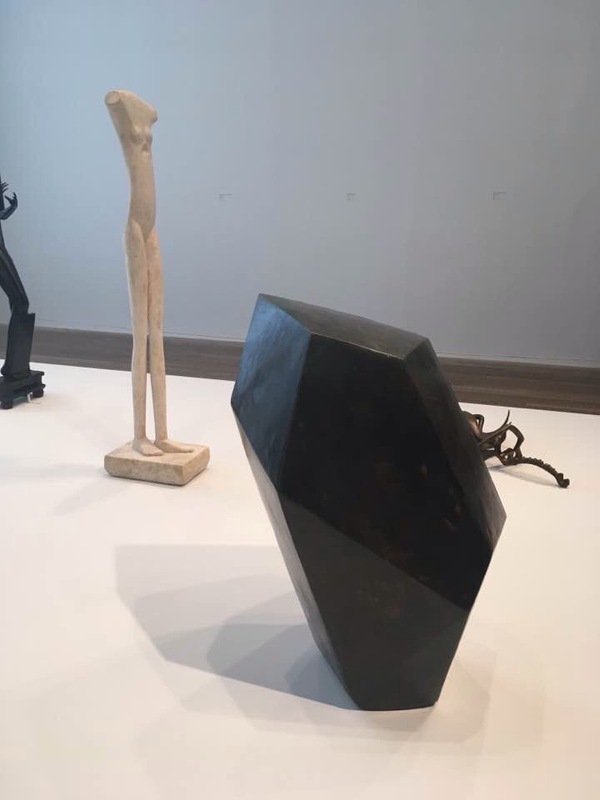 Giacometti’s works stem from Existentialism, looking at man’s significance in a meaningless universe. Tate Modern is currently showing over 250 works, including his most instantly recognisable elongated figures. Giacometti started sculpture from an early age – his first portrait bust was of his brother Diego (age 13) created in 1914. He started painting in a post-impressionist style, following in the steps of his father. His work later took a Surrealist turn, before he was forced to leave the Surrealist group after he started working with living models. He painted people close to him – always with a fixed distance between him and his sitters. His brother Diego, his wife Annette, and his lover Caroline were his main sitters. Many exhibitions of Giacometti’s (1901-1966) work have been held, more recently at the National Portrait Gallery. 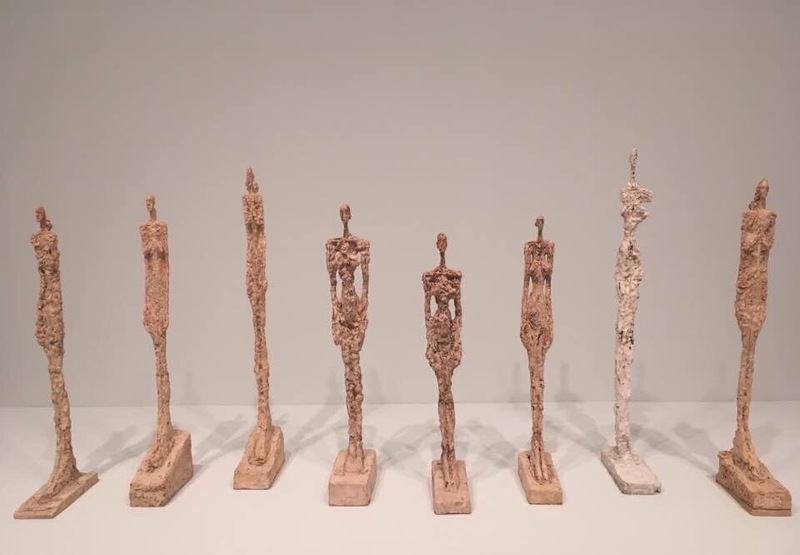 Works are generally loaned from two foundations – one of which is the Fondation Alberto et Annette Giacometti in Paris, a bequest from Giacometti’s widow Annette Giacometti. The Alberto Giacometti Foundation in Zürich was established after Giacometti’s death by a group of art lovers including Hans C. Bechtler, who had acquired works owned by the Pittsburgh industrialist G. David Thompson. 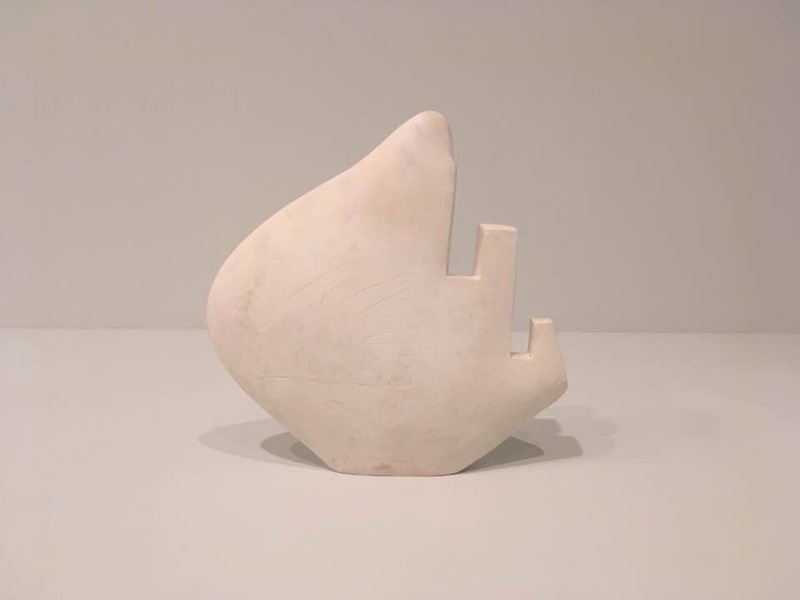 The Tate Modern exhibition draws mainly from the collection and archive of the Fondation Alberto et Annette Giacometti in Paris. The Tate aims to reaffirm Giacometti as one of the great painter sculptors of the 20th century. It includes the usual hits, such as his elongated sculptures, for which he is most famous. These came from the memory of seeing his model and lover Isabel from a distance in Paris, standing in the Boulevard Saint Michel. Lesser-known plaster works are also included: 75 in the exhibition (around 30% of the works on show). Plaster was more affordable before Giacometti was able to pay for bronze casting. A wonderful example is Femmes de Venise, when Giacometti represented France at the Venice biennale in 1956. Plaster is used as an end result, although most figures were later used for bronze casts, as Giacometti had more financial means. The remains of shellac give the Femmes de Venise figures their brown colour. Only one Femme de Venise is whiter as the figure had a broken arm and wasn’t cast in bronze as a result. Giacometti runs at Tate Modern until 10 September 2017, demonstrating the sculptor’s significance in our art universe. Gagosian Britannia Street also shows Giacometti Sculptures and Their Photographs by Peter Lindbergh (Substance and Shadow, until 22 July).